This week has plenty to offer for those interested in activism, music and politics. Let me set the scene for you: Berkeley, the second floor, 5.03pm. You’ve been staring at that page for 17 minutes now and you’ve re-read that sentence at least six times. Your mind aimlessly wanders from one inconsequential quandary to another – making plans for dinner, calculating the number of questions you really need to have prepared for that exam, and wondering just how many crèee eggs are too many creme eggs? Suddenly, you’re jerked back into reality when that pesky history student opposite you kicks you for the fourth time today – we all have legs to stretch, and knees to cross, but surely they can negotiate these manoeuvres without battering their neighbour’s shins? The indecency – unbelievable. Now that guy beside you has returned and, oh no, are those Skullcandy earphones he has in? Yes they are. Ah, lovely, any possibility of you getting through the rest of that page dissipates – the dulcet notes of one techno-maestro don’t quite suit the tone of your essay. Considerably irritated, and not quite sure how much more you can take, you are suddenly, and oh so grievously aware of how suffocating, indeed unbearable the heat of this library is. Have they only just learned how to turn the heating on? And is that … condensation on the one, sole window in this concrete cesspit of despair? That’s it, get out of there, save yourself! Run into the welcoming arms of Trinity’s societies this week who are offering up a smorgasbord of events to relieve you of such torturous library escapades. Escape deadline-stress and enter Brexit stress with Trinity’s Society for International Affairs (SOFIA) this Monday. As the Brexit deadline edges ever closer, and border questions loom ever larger, it seems prime time to get informed on the nuances of what is undoubtedly a complex and contentious political dilemma. SOFIA is hosting Dr Gerard Hogan, current Advocate General of the EU Court of Justice and a previous judge in the Irish Court of Appeal and of the High Court, for a conversation on Brexit. The event is sure to offer some clarity on an undoubtedly foggy topic, aided by the fact that Hogan served as a lecturer in Trinity for some 25 years. The event is taking place at 5pm in the Graduates Memorial Building. Trinity St Vincent De Paul is hosting Seekers in Wigwam this Tuesday, an event aimed at raising awareness around direct provision and asylum seekers in Ireland. Kicking off at 7.30pm, the event promises a night of music and spoken word, to shed light on one of the most pressing concerns of our generation. Seekers has been organised by a group of asylum seekers living in direct provision and a number of Irish students. Attendees will be entertained by the likes of Étáin, Isaac Jones and the Part-Time Lovers, and the Kaleidoscope Collective, to name just a few. The event is free, but donations are welcome. All money raised will go towards the Monaghan Solidarity Dinner, a day organised by Refugee and Migrant Solidarity Ireland (RAMSI). 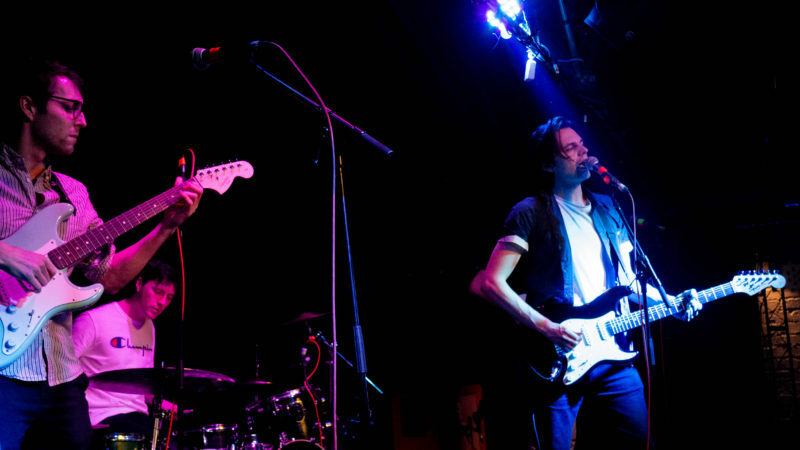 Trinity Ents, in collaboration with DU Music and DU Alternative Music Society, is hosting this year’s Battle of the Bands Final in Whelan’s at 8pm on Wednesday. Be sure to head over and enjoy the sweet, sweet soundings of some of Trinity’s most talented and promising young artists. The final five acts will face each other in one last bid to win a slot at Trinity Ball this year, as well as a full day’s recording in Sun Studios. Online tickets cost €7 (plus €1 booking fee), and any remaining tickets at the door will be sold at €10. As part of its Anti-Apartheid Week, Trinity College Dublin Students’ Union (TCDSU) is hosting an event in conjunction with the Trinity Boycott, Divest and Sanctions (BDS) Campaign, to explore and explain the aims of the campaign. The discussion will focus on the tenets of the movement and look at what students can do to support the Palestinian cause at an international level. Betty Purcell, a broadcaster and Irish Human Rights and Equality Commissioner member) and Asad Abu Sharkh, a professor of linguistics and activist from Gaza, will be on hand to lead the discussion and take part in a questions-and-answers session. The event will start at 1pm in Room LTEE1 in the Hamilton. Trinity Yoga Society is welcoming Giulia Babolin, an acclaimed and experienced yoga instructor, this Thursday, for an AcroYoga Workshop. Babolin will be leading a class that combines acrobatics, yoga and therapeutics, offering a new way to tone up, get fit, and actually enjoy yourself in the process (shock, horror!). The class, which will cover the basics of the sport, is open to those with little to no experience with AcroYoga, as well as those looking to fine-tune their technique. The workshop will be taking place in the Arts Block (room tbc) at 6pm, and will last an hour and a half. Tickets cost €12 each and can be purchased through the event Facebook page.